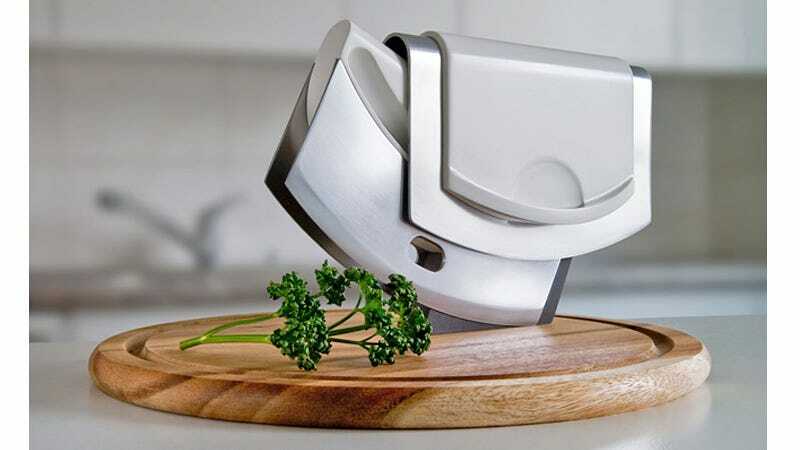 If you're looking for as many shortcuts as possible to becoming a whiz in the kitchen, this concept chopper makes short work of meats, vegetables, or whatever needs dicing. And you don't need to spend months honing your knife skills or constantly replacing bandages. Designed by Andreas Kalt for the iF Design awards, the tool's large set of curved double blades rock back and forth, slicing through anything in their path. And since it's propelled by a sliding handle up top that always stays horizontal up, your hands and fingers are never at risk of being separated from the rest of your body. It's the modern equivalent of a guillotine designed for heads of broccoli instead of heads of heretics.